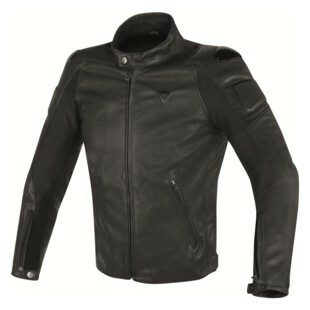 The Street Darker Perforated Leather jacket is CE Level 2 certified and comes equipped with aluminum inserts at the shoulders, TechFrame internal liner, and localized perforation to keep you comfortable on those hot summer rides. The Street Darker Perforated Leather jacket will accept the G1 or the G2 back protector plus it has a pocket for a double chest protector should you desire this extra level of protection. The trisoft full-grain vat-dyed cowhide leather will give this jacket a classic look while maintaining that quality level of protection we desire when ripping around on two wheels. The new Street Darker Perforated Leather Jacket will be one to keep an eye on as it will hold true to the style, function, and protection we have grown accustomed to seeing from Dainese.